My mother-in-law was famous for her kolaches. This recipe does a good job of replicating her scrumptious treats. My family expects them every Christmas morning. Hope I'm not in trouble...I just made cherry-filled this year. Heat milk to 120°. Add butter and allow to soften. Put flour in bowl, add yeast. Pour in milk mixture, stir and add eggs. Knead until smooth and let rise until double. Knead 10 more times and shape into 1 1/2 ounce balls on greased cookie sheet. Makes 30. Drain excess filling from fruit by placing it in a strainer. Season each filling with ½ cup sugar and 1 teaspoon vanilla. Flatten centers of the kolaches with thumb (make a good size hole) and fill with fruit filling. Let rise until double in size. Brush tops with melted butter. Cut ingredients together to make crumble and sprinkle on kolaches just before baking. Bake at 350° for 20-25 minutes. You can also stuff with little smokies sausages instead of fruit filling. Ice with glaze when cooked. Betty is ready to get off her feet! After two shifts at IHop, Betty is just grateful to be sitting down and listening to some of her favorite 45's. The tips are getting better the closer it gets to Christmas. She is hoping to make enough extra to give her mother, Jolene a new coffee maker. These delicious kolaches demand a really good cup of coffee or hot chocolate. When the crowd gathers for holiday festivities, there is nothing faster and easier than a sheet cake. You'll love this for Christmas or ringing in the New Year. This is very moist for a white cake and it serves a crowd. Heat butter and water in a glass bowl in the microwave for 2½ minutes. Mix until smooth. Pour into greased 9x13 inch baking pan. Bake at 375° for 25 minutes. Cool for 20 minutes. Microwave the butter and milk for 1½ minutes. Mix in remaining ingredients. Spread on warm cake. Our own snow queen, Lucy, is dreaming of a white Christmas. She found this little item in one of the local over-priced tourist traps in Aspen. Cha-ching on the credit card. What guy wouldn't like to find her sitting under his tree Christmas morning? Too bad she can't find someone worthy of the pricey negligee. I always love comments and appreciate my followers. It makes me feel connected to my audience. If you would like to become a follower, just sign up at the bottom of the page of blog entries. It is that simple. Then you can keep up with Fashion Plate without having to go to the website. It DOES NOT give me access to your email, so relax and enjoy fashions from the Barbie Nation and delicious recipes from my kitchen and cookbooks and NO annoying ads! It has been an exciting three months for the blog and I thank you for your interest. I want to give a special shout out to my newest followers, Love Spirit and Audrey. Welcome to the family! Thanks to all of you who have checked out my new store on Etsy, Coco's Cache. I'm glad you like the smock/aprons. Happy holiday wishes to my readers! 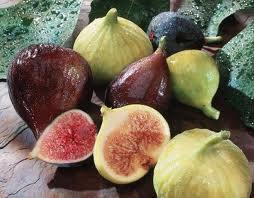 When it comes to figs, folks are in the love them or leave them category. If you're not a fan of figs, I think this recipe may convert you. This was served at the Chocolate Decadence progressive dinner last year and it was a big hit. I've tweaked the recipe a bit, but it is basically the same yummy appetizer. This is one of the few times I will tell you to start with a refrigerated pie crust. Enjoy the moment. Move around the outside edge of the pie crust and fold in the edges just a bit to make a rustic looking crostada. Brush the edges of the crust with leftover jelly or a beaten egg, to glaze. Bake at 425 degrees for 15 minutes and cut with pizza cutter into desired sliced or squares. Lucy is going skiing with her boyfriend of the moment, Kirk, the boys' hockey coach. He is such a loser, but she won't find out until it is too late. He has 2 ex-wives and lots of alimony. Her credit card is already reeling from the purchase of the new ski togs. Wait 'til she discovers she will be financing most of this trip! and lightly greased the foil because the bars are easier to cut when not in the pan. Bake as instructed. Sometimes the Dulce de Leche is too thick to pour. Heat in the microwave for about 45 seconds. Drop in dollops over the toffee bits or just mix in the toffee bits and spread it around. It too, will be a very thin layer. Smooth melted chocolate/cream over the top. Allow to cool and/or chill in refrigerator. Lift the foil from the pan and cut into serving pieces. I cut these into 1-inch pieces and it yielded over 140 bites. These would be great for a cookie exchange.